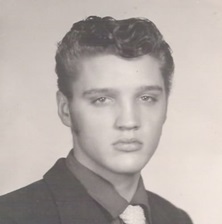 On July 18, 1953, an eighteen-year old truck driver named Elvis Presley wandered into Sun Studios in Memphis. He paid $3.98 to record two songs (‘My Happiness’ and ‘That’s When Your Heartaches Begin’). Presley reportedly gave the acetate to his mother as a much-belated birthday present (her birthday was April 25), although many biographers suggest that Presley simply wanted to get noticed by Sun owner Sam Phillips. These suggestions are strengthened by the fact that the Presley family did not own a record player at the time.